Delta introduced Delta Comfort+ in March 2015 as the airline’s industry-leading extra legroom product experience that offers Sky Priority boarding with dedicated overhead bin space, complimentary premium beverages and snacks on flights over 250 miles and sleep kits on long-haul international flights. 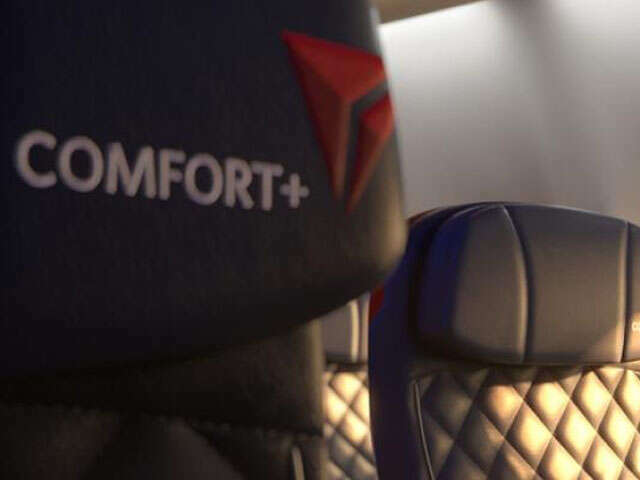 ​Since then, the popularity of Delta Comfort+ has surged and Delta has continued to increase the number of Delta Comfort+ seats to all mainline aircraft. Earlier this year, the airline also expanded the product to CRJ-200 aircraft. Aligning with Delta’s focus on improving choice for customers and enhancing the on-board experience, the airline is now continuing to expand Delta Comfort+ on some of its regional aircraft, adding more Delta Comfort+ seats on its E-175, E-170, CRJ-900 and CRJ-700 aircraft. The additional Delta Comfort+ seats are currently on sale on E-175 and CRJ-900 aircraft for flights scheduled May 29, 2017, and beyond, and on sale for E-170 and CRJ-700 aircraft for flights scheduled June 15, 2017, and beyond. In the last two years Delta Comfort+ capacity, including mainline and regional, has grown 17 percent. It is offered on nearly all single-cabin and two-cabin Delta Connection aircraft. This enhancement is part of the airline’s multi-billion dollar investment in the customer experience that includes a cabin modernization program featuring new seats, seatback entertainment systems with free entertainment, high-capacity overhead bins, access to Wi-Fi on nearly all flights, free Main Cabin meals on select flights, upgraded free Main Cabin snacks, chef-curated meals in Delta One, a seasonal wine program, an Alessi-designed collection of serviceware in Delta One and First Class, and more.